This morning we visited the Acropolis Museum, opened to the public in 2009. The Acropolis Museum (Greek: Μουσείο Ακρόπολης, Mouseio Akropolis) is an archaeological museum focused on the findings of the archaeological site of the Acropolis of Athens. The museum was built to house every artifact found on the rock and on its feet, from the Greek Bronze Age to Roman and Byzantine Greece. 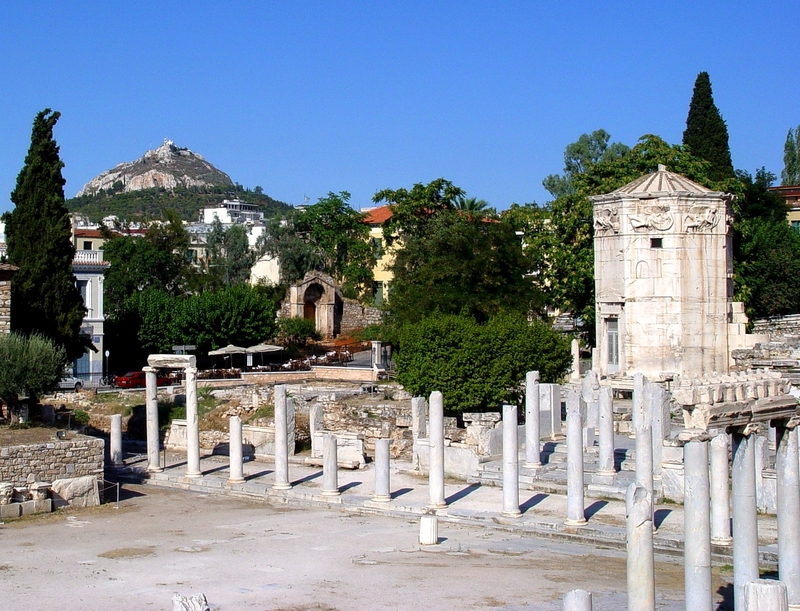 It also lies on the archaeological site of Makrygianni and the ruins of a part of Roman and early Byzantine Athens (Wikipedia). You can see archaeological excavations at the entrance to the museum. 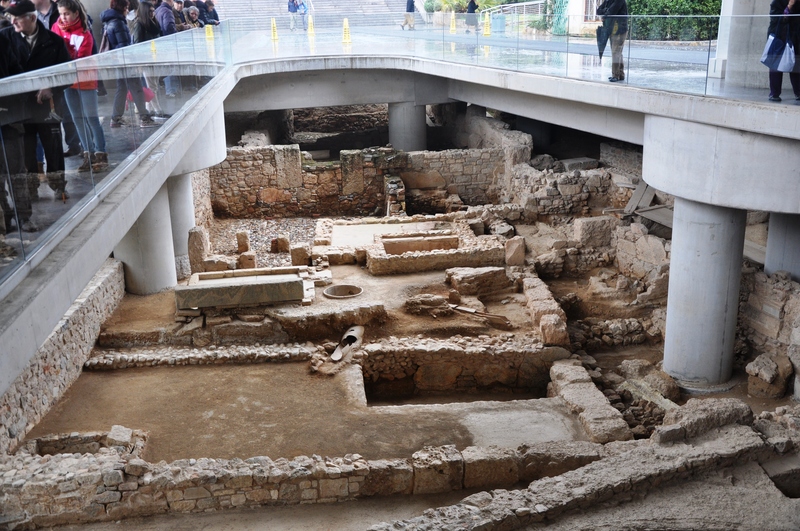 Excavations at Entrance to Acropolis Museum. Photo by Leon Mauldin. Among the interesting exhibits are the original Caryatids which originally stood as support columns at the Erechtheion on the acropolis. 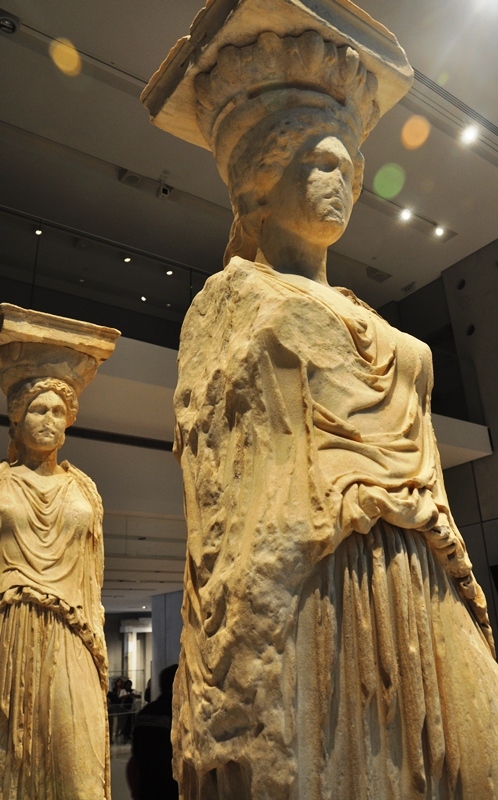 Original Caryatids at Acropolis Museum. Photo by Leon Mauldin. 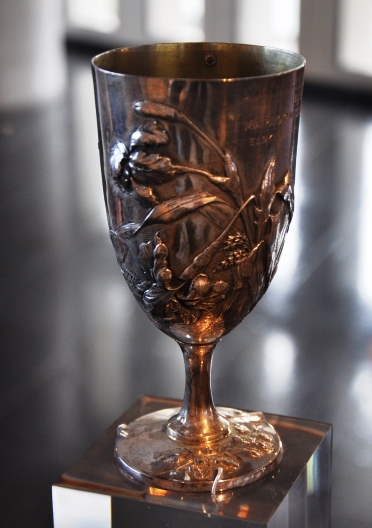 Brèal Cup at Acropolis Museum. Photo by Leon Mauldin. 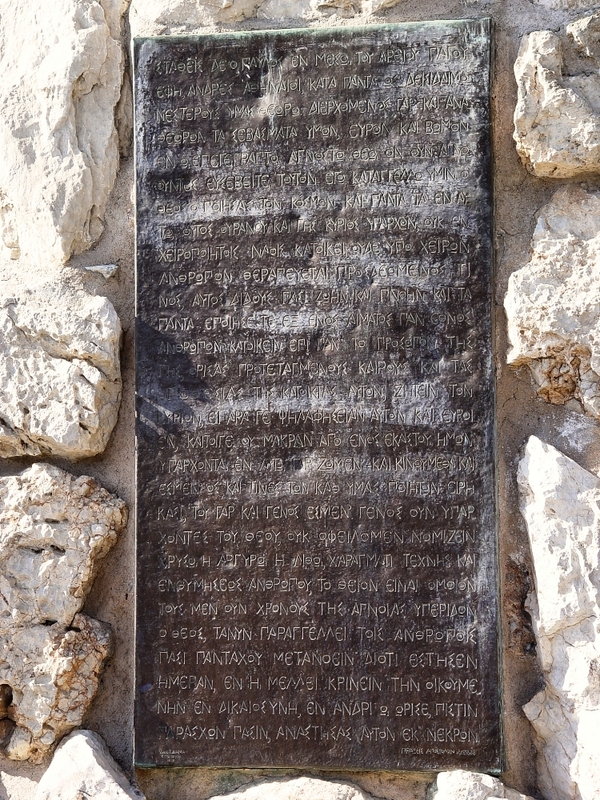 We were able to visit Mars Hill, and there I read Paul’s sermon in Acts 17 to our group. See previous posts here and here. We had a “bonus” this afternoon, getting to see the changing of the guard at the royal palace. 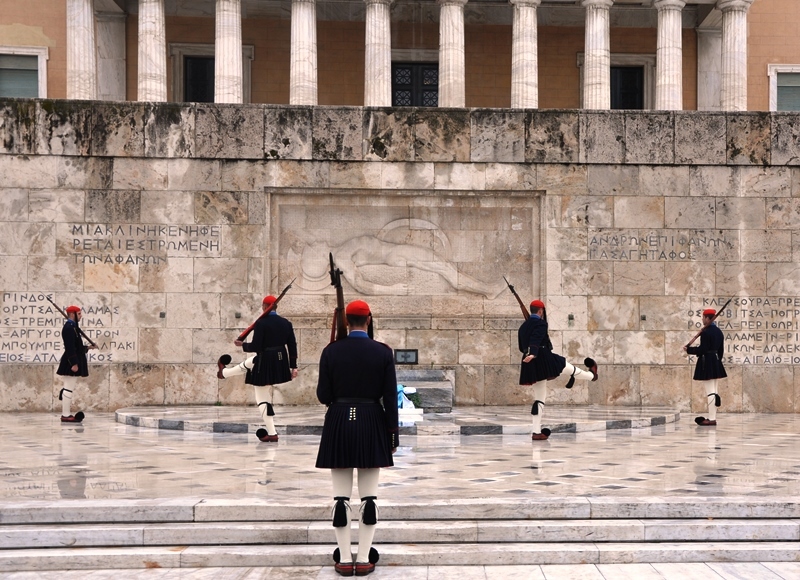 Changing of the Guard at the Royal Palace, Athens, Greece. Photo by Leon Mauldin. 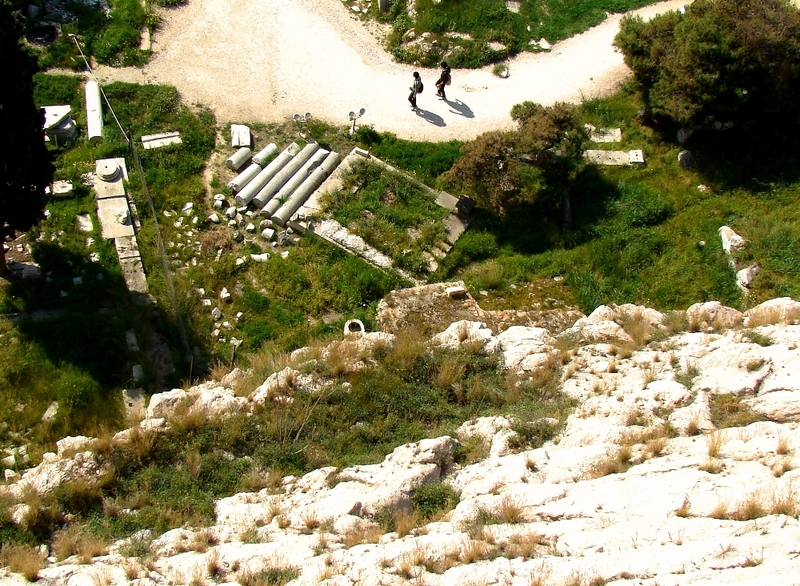 Tomorrow we are scheduled to leave early for Corinth, then on to Delphi, and from there to Kalambaka as we travel to northern Greece (biblical Macedonia) to “walk in the steps of Paul.” Thanks for following our travels. My group arrived safely in Athens this afternoon and all of our luggage arrived as well! We are thankful.Newark seems a bit distant now. 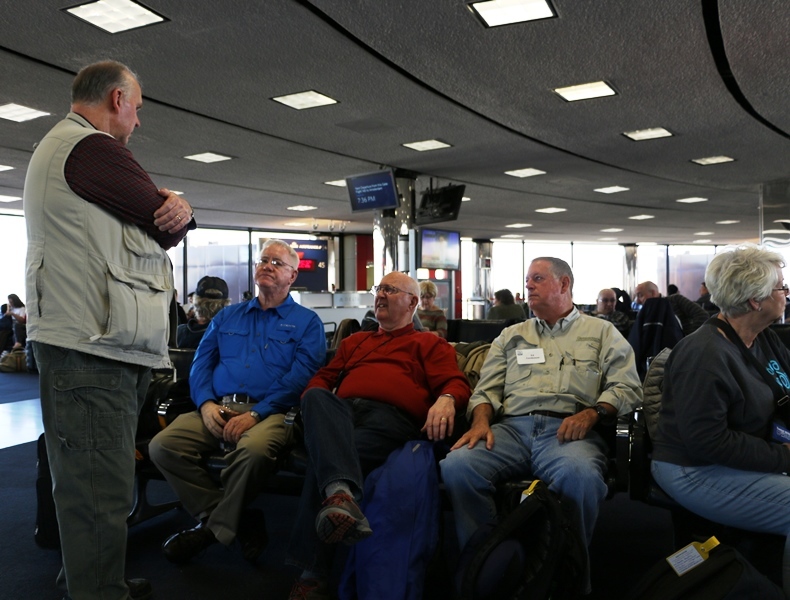 Gathering at Newark International. Photo by Donna Keith. Everyone was tired following the overnight flight. 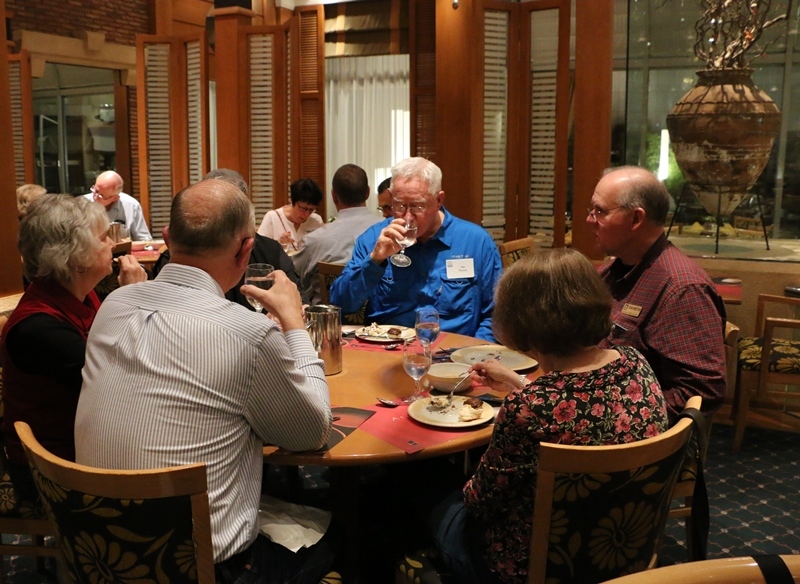 A good dinner was welcome! Dinner at Metropolitan in Athens. Photo by Donna Keith. 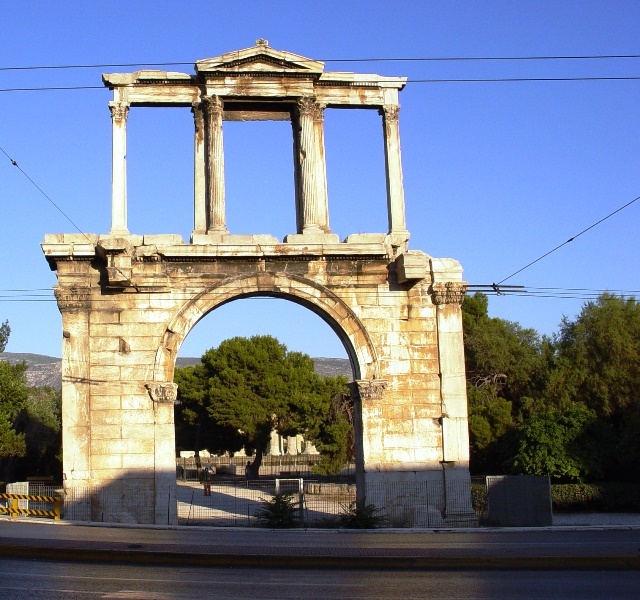 Roman Emperor Hadrian’s Gate in Athens. Photo by Leon Mauldin. 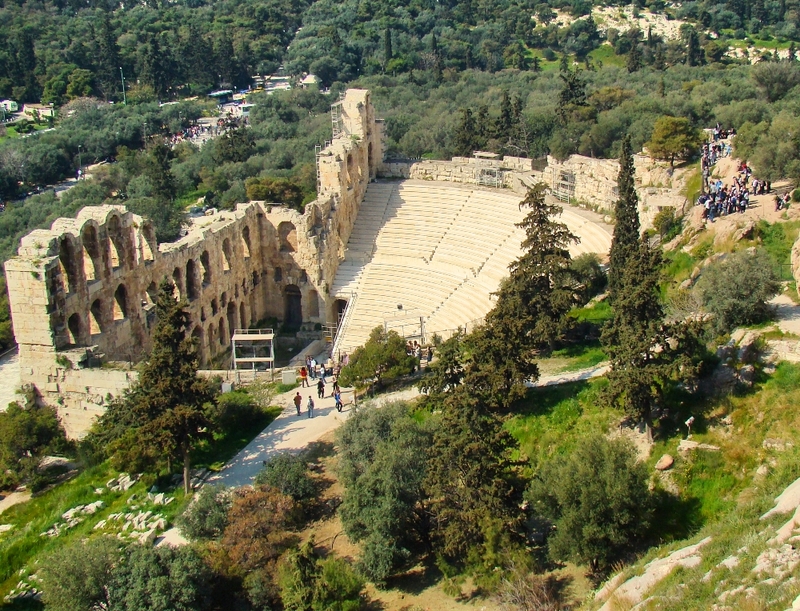 Tomorrow is scheduled to be an all day tour of Athens. 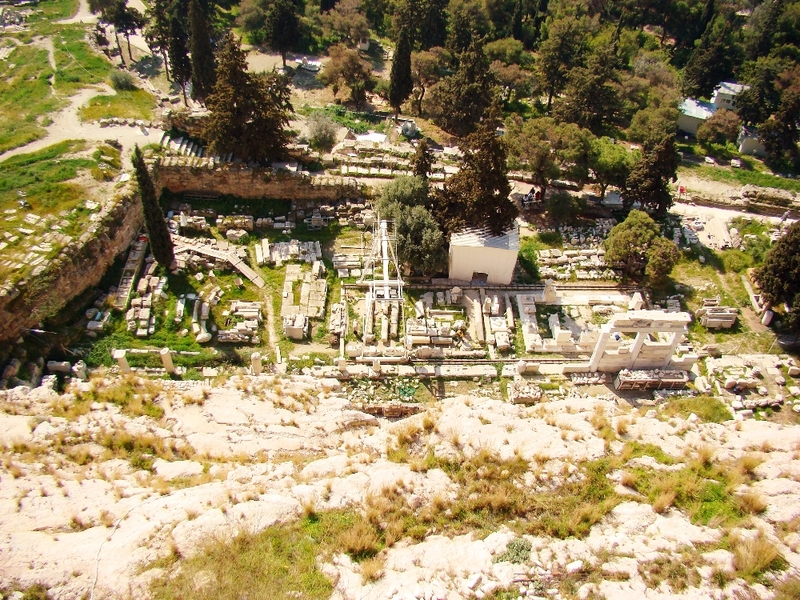 We plan to post photos from our biblical study trip as time (and internet) permit.